So many of the seasonal celebrations I follow are from the English agricultural calendar. My paternal family has English roots, so English folkways feel deeply familiar and pleasing to me. 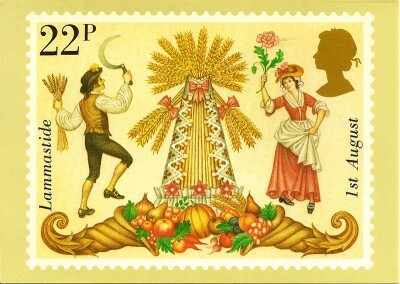 I was tickled this morning to discover this old postage stamp from 1981 Britain with its lovely image of the overflowing cornucopias, the corn dolly, a bit of scything, a bit of dancing. * In Ireland, it is called Lughnasadh, but is celebrated much the same way, with song and dance, ale and whiskey, and the gatherings at country fairs, which are the roots of our summer fairs. There is a wonderful contemporary movie called “Dancing at Lughnasa” which is a charming story of an Irish country family and would be just the ticket for celebrating this time of year. One of my earliest introductions to the old ways was Traffic’s 1970 “John Barleycorn” album. The haunting title song just got under my skin and I probably played the album until the grooves where gone. I was happy to discover this beautiful acoustic take sung by Steve Winwood, and have been playing it pretty much on loop all week. Around here the garden harvest is in full swing and though we don’t grow grain, we are enjoying the first of the sweet corn harvest. 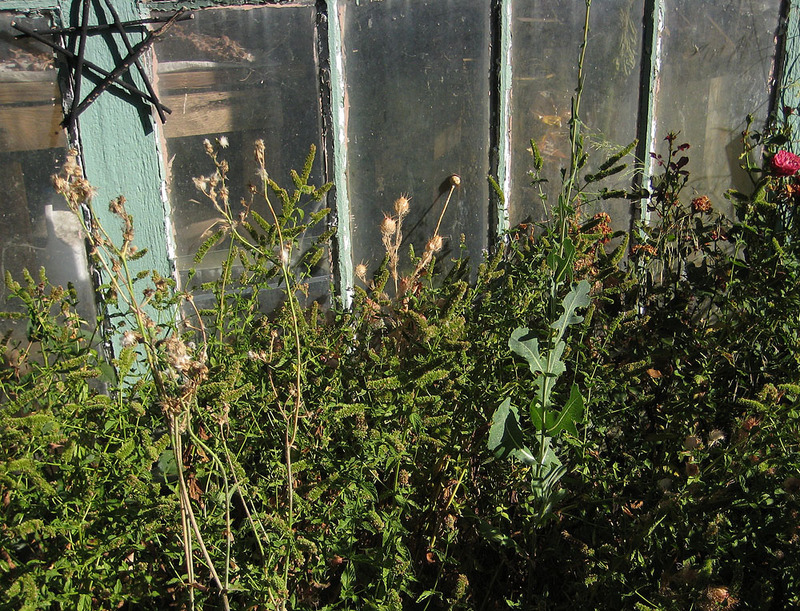 Out front by the greenhouse, my mint has run amuck, but the nigella has set seed and manages to reappear every year. 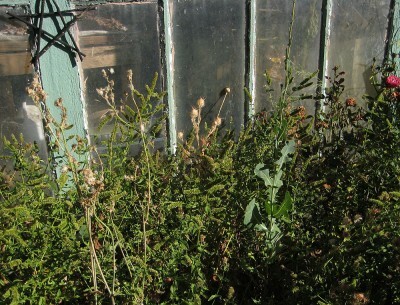 Other harvests continue in the house and studio; long neglected projects and general clearing occupy my days. Such mundane tasks are not much in the way of news, but my hope is that space cleared will fill with new harvests. 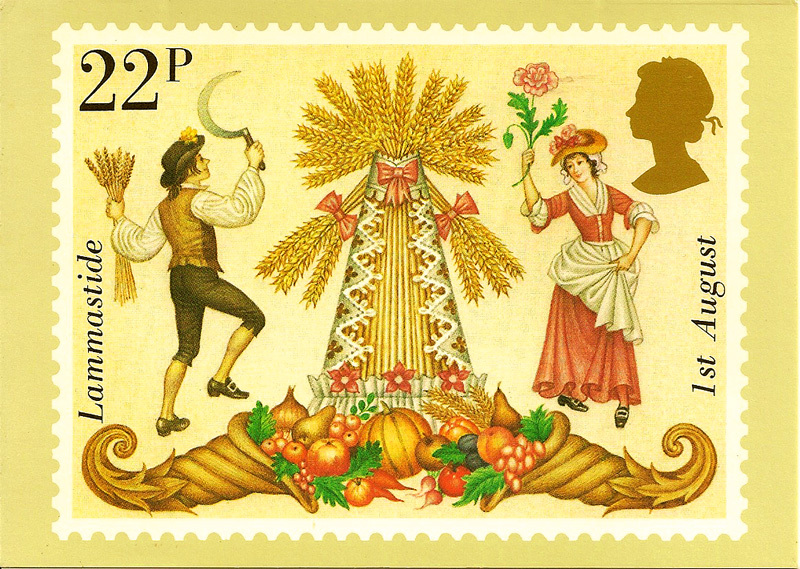 Meanwhile, a bountiful and blessed Lammas to you all! * Many thanks to the wonderful John Cutrone at the Convivio Bookworks and his Book of Days for the first glimpse of this top image. John faithfully records the turning of the year with a lot of research and a little family history, and I have been gladly receiving his epistles for years. I love the reference to time passing. I constantly note this in journals, haiku and photographs. Now where I am I see the chicory and water lilies now begin to fade. Constantly living the moments of change. Thanks for your lovely notes. I also love John Cutrone and his calendar.